Numerical models of flow and transport processes are heavily employed in the fields of surface, soil, and groundwater hydrology. They are used to interpret field observations, analyze complex and coupled processes, or to support decision making related to large societal issues such as the water-energy nexus or sustainable water management and food production. Parameter estimation and uncertainty quantification are two key features of modern science-based predictions. When applied to water resources, these tasks must cope with many degrees of freedom and large datasets. Both are challenging and require novel theoretical and computational approaches to handle complex models with large number of unknown parameters. This Research Topic targets articles related to novel theoretical and computational methods for parameter estimation and uncertainty quantification with a special focus on big datasets, large-scale inverse models, and their applications. As data quality and information content are also key to efficient model inversion, data analyses and parametric sensitivity analyses of high-dimensional models are also within scope. 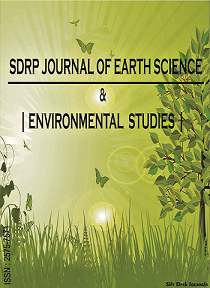 Overall, this Research Topic focuses on novel theories and innovative applications of parameter identification and uncertainty quantification in the broad field of water resources and hydro-geophysics.